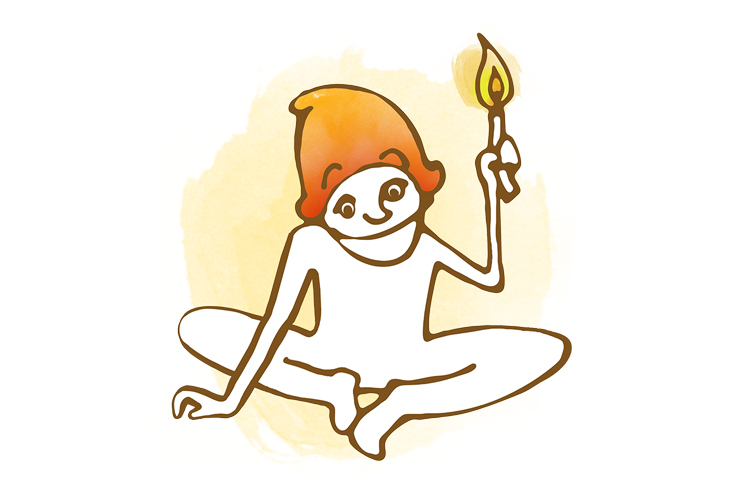 Fire fairies are not only the flickering flames to read by or the hearth fires that warm us, but also the flashes of inspiration and the sparks of transformation. Here are some stories that fit the bill! This story is a part of the "Handy Tool Belt of Stories" — a collection of various stories designed to give your family support during overwhelming life events. Included are stories about trauma, sickness, potential harm, and death. These stories are here to have in your back pocket if your family experiences a sudden trauma or difficult life event. Nicholas and Miriam love their grandmother Nani’s warm and cozy home. But one spring day, a fire breaks out, and Nani's home is mostly lost to smoke and flame. Their grandmother is okay with the loss, but Miriam is not okay. In fact, she becomes afraid that the fire may happen again. It takes the work of several fairies to help Miriam learn to appreciate fire again. Martin loves making fires. He loves to watch fires burn and finds the crackling sounds soothing. Eva, one of the apprentices, has a very different picture of the true nature of fire — one that is poetic and understood as a part of the fairy world. This helps Martin see not only fire in a different light, but all things that change. Have you ever wondered how the first jack-o'-lantern was created? Here is a tale of a baker’s son named Garrith, who — with the help of a magic seed and an enterprising fire sprite named Jack — transformed a simple orange squash into a sparkling, magical lantern that charmed an entire town. A boy moves from a city apartment to live with his mother in a small house in the country. He has lived his whole life in the city, and so he misses his friends, his school, and his home. He is nervous about the back yard with its overgrown trees, brambly bushes, and a cow pasture beyond. He prefers to stay inside reading comics until one night, a host of fireflies — or are they fairies? — takes him on a magical adventure. Piper has a lot of energy. She is determined, excited, adventurous, and sometimes a little opinionated. Sometimes her friends and siblings think she can be a little bossy and this makes Piper sad. When the Willow Tree takes her to the desert cliffs of Wadi Rum, she learns from a snake, a spider, and a scorpion that fire inside is good - so long as you can see the different kinds of fire in others.